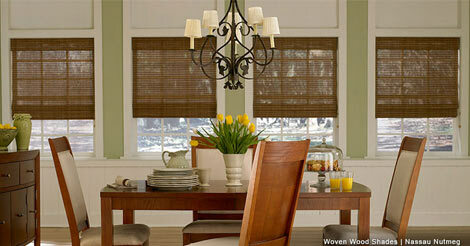 Custom window coverings designed specifically for your home. We have a growing network of 200+ highly trained Design Consultants ready to meet with you in your home, at your convenience; providing expert advice to help you find a solution that fits your style & budget. We have a full selection of inspiring fashion-forward ideas to help enhance a room or your entire home. Simply start with a room, such as the Master Bedroom or Kitchen, or begin with your favorite style, from Eclectic to Modern. We’ll provide the ingredients to feed your imagination.